A crowded focus of small neoplastic glands in a prostate needle biopsy. Despite being back to back, the glands are still discrete and should be labeled Gleason pattern 3. 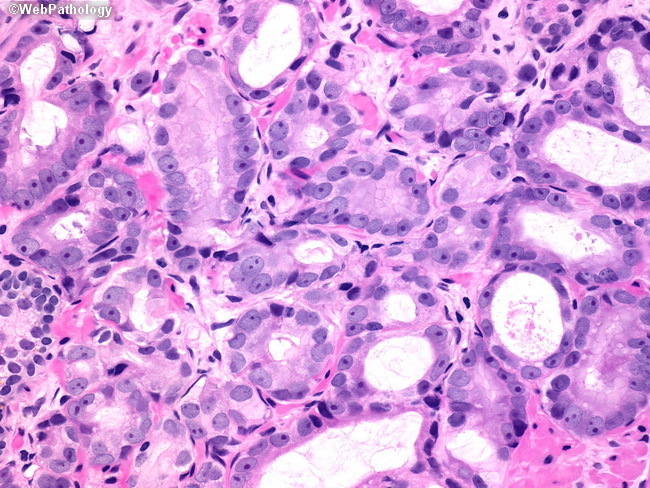 At low magnification, such foci may resemble fused glands and be overdiagnosed as Gleason pattern 4.